PLANNING AN OFFSITE OR AN OUTING? Welcome To Camp Roxx. A Premium Offbeat Camping Experience For All Ages. Want to know more? A weekend camping retreat for mountain lovers & pollution consumers to refuel their souls back to life without burning a hole in the pockets. 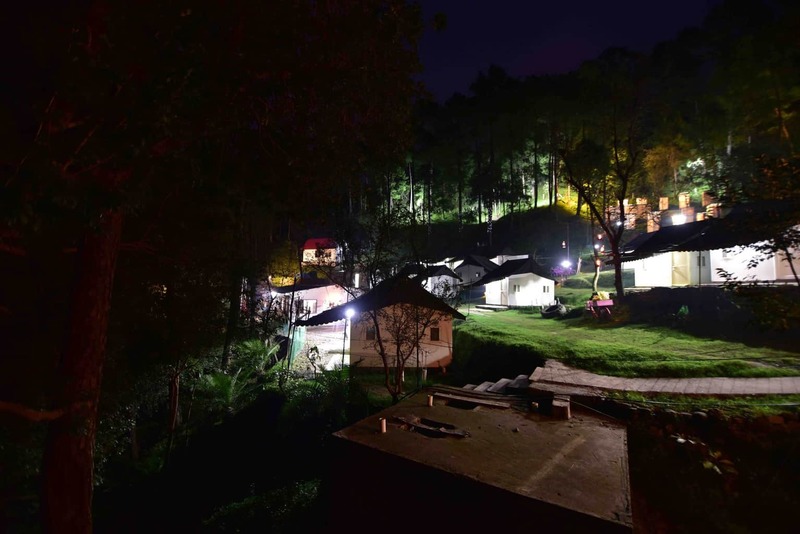 WHY GO CAMPING IN KANGOJODI? Like to be cuddled back by nature? You're in for a treat. We're not just about big groups who want to come and do their corporate dances. You can come here and find your own little private haven anywhere in the campsite. 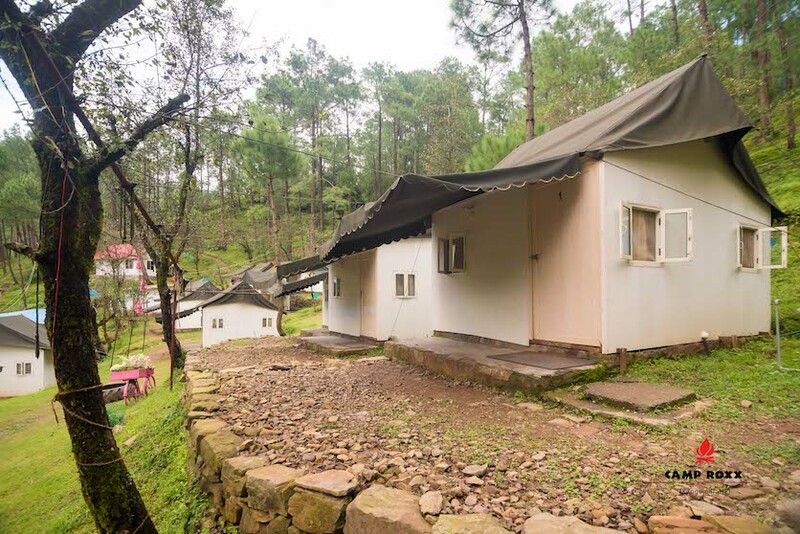 Our camps are located right in the heart of a huge pine forest. So anyone looking for a Manali, Shimla, Rishikesh like crowd and setup must look away from here. The idea is to hide away from big crowds and avoid any long traffic jams in the hills. The concept of camping can be a lot different from something you've experienced in the past. 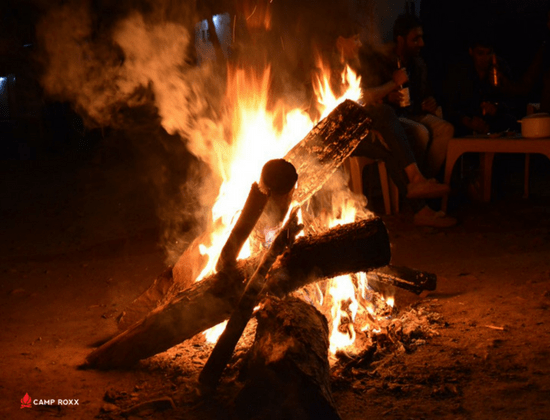 We try our best to mix comfort, hygiene, camping and a little bit of soul searching for the true wanderers who are looking for an escape from monotony. The crimson skies come alive with a mashup of fragrances of burning pine cones & wooden earthy soil. A perfect treat for your senses! Enjoy the gushing waters of the natural spring water stream that flows right along the campsite. Or just head out for a hike anywhere in the forest of Kangojodi. 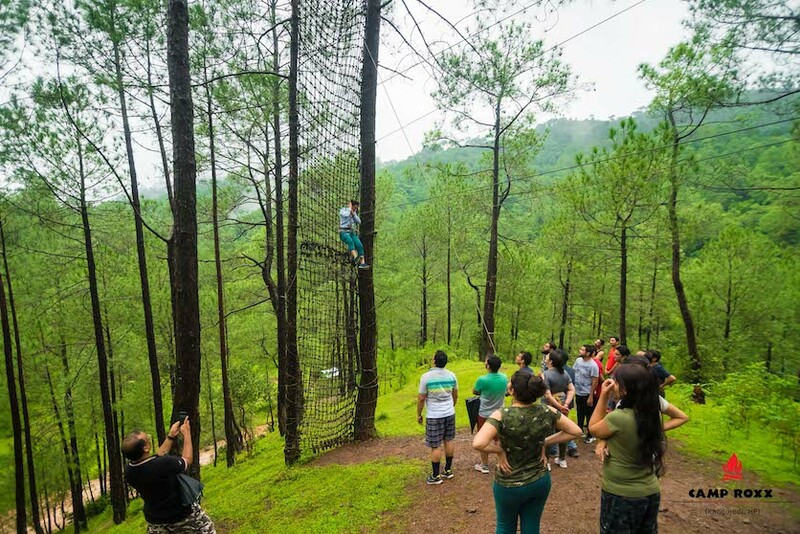 Adventure activities are a lot of fun specially when you're traveling with friends & family. Discover the hidden skill sets of your peers around various challenges. Sign up right away for one of these upcoming long weekend itineraries designed to make your long weekend special. Get your own liquor & hop in a car with friends for a peaceful weekend getaway unlike any other. Everyone's doing the same old boring road trips. 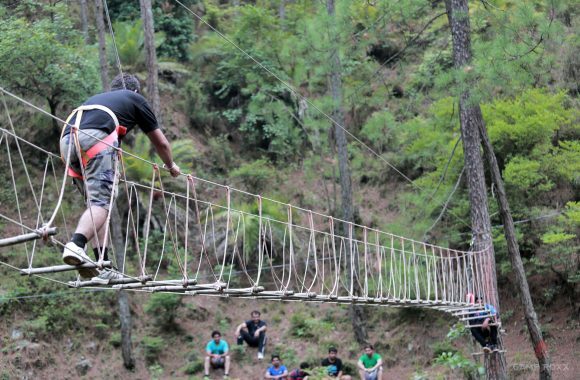 Try something more offbeat & surprise your friends with an adventurous streak. 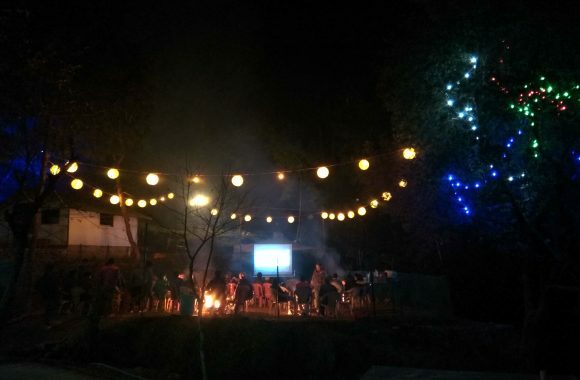 Watching movies together around a bonfire is an experience you can't unfortunately have in Delhi. Just get your blankets & the popcorn's on us! Give your blackened lungs a little rest. We've got plenty oxygen to replenish every cell in your body for a month or more. Hospitality with patience & passion is what we strive for. Hence, the consistent performance is rewarded back with your amazing reviews & heartwarming comments. 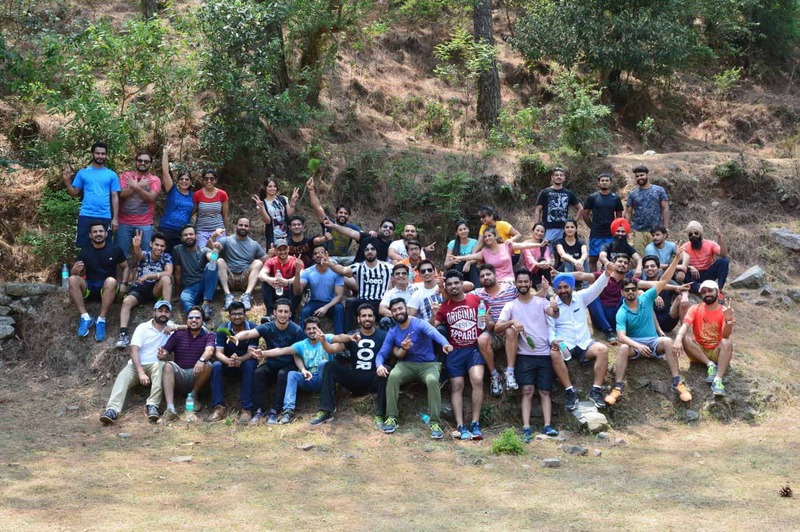 "It was a team outing that we planned for Camp Rozz and we had one of the best times on the outing we did till date. It was an amazing experience there. Everything was too good to explain in words. Hospitality is way better than rest." Awesome Place to visit... 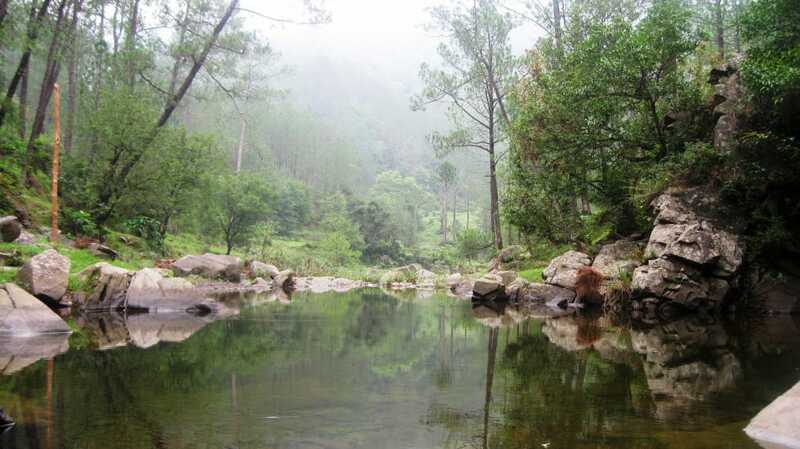 Right inside Pine wood forest valley.With lot of real adventure sports,scenic beauty and adventure. Hospitality of staff are great... Food is also delicious... Its really a place to chill out of with your friends and family. Evening turns this place in party mood with great ambiance and music. If you don't want to waste time stuck in long traffic jams on weekends in the name of a hilly getaway, just head straight to Kangojodi. 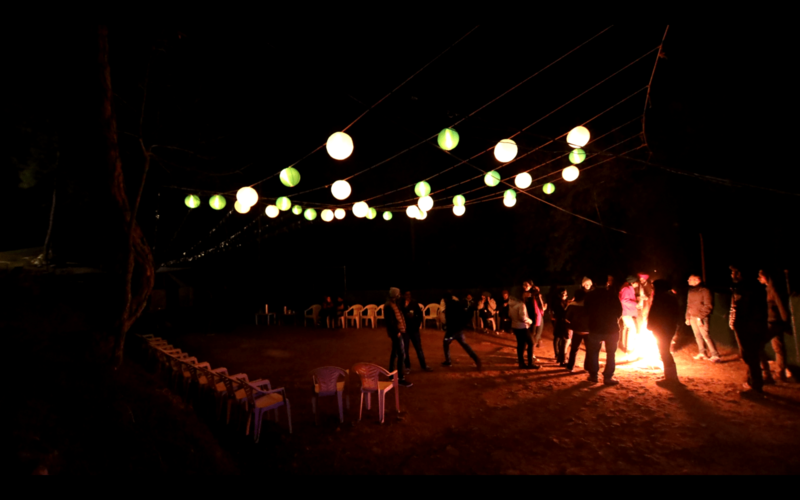 The place is far away from any commercial spots and is a perfect hideout for families & friends in the middle of nowhere. "The ambience of this place is magical. My trip here was a reminder of the simpler times and how unnecessary the rat race can be at times in Delhi. Perfect place to chill & unwind with friends. The food was awesome! Must visit!" 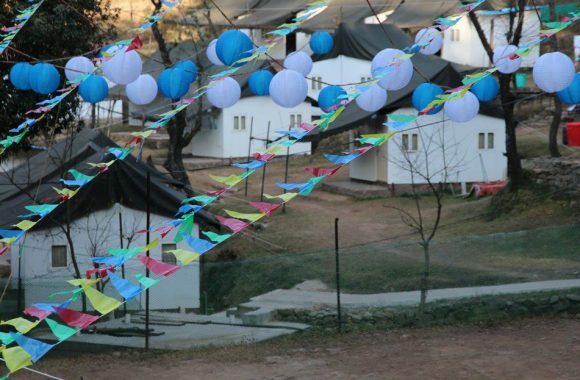 "Camp Roxx's vibe is so relaxing, one practically forgets there's a life back at home. This has become one of my most cherished weekend hangouts with friends because of the distance. My stay was brilliant!" "We run a small travel outfit and Camp Roxx is one of our most beloved places. We come back here at least twice a year purely because the campsite has such different looks & flavours in every season. Beautiful location!" Discover a true hidden gem far from the madding crowds of the city.